It’s a big day for exoplanets. Not only did NASA confirm that it has spotted seven exoplanets that have Earth-like qualities orbiting TRAPPIST-1, but the makers of the popular massively multiplayer game EVE Online have announced a crowdsourcing effort to get players to identify exoplanets while they explore virtual space. This is the second edition of EVE Online’s mini-game feature known as “Project Discovery.” The first round tasked players with classifying human protein data from a large collection of cell images. This time, CCP Games has partnered with Massively Multiplayer Online Science (MMOS), the University of Reykjavik and the University of Geneva to enlist players help with classifying astronomical data. Thousands of users will be able to play a mini-game in their downtime during jumps between space stations that can take several minutes. They will be shown real images from an astronomical database and are asked to classify them based on criteria that hasn’t been announced yet. If enough consensus is built around individual classifications, that data is kicked back to the scientists and they’ll determine if we’re looking at a new exoplanet or perhaps some other strange anomaly. According to CCP, the first experiment with human protein data was a massive success and over 25 million classifications of human cells were processed. 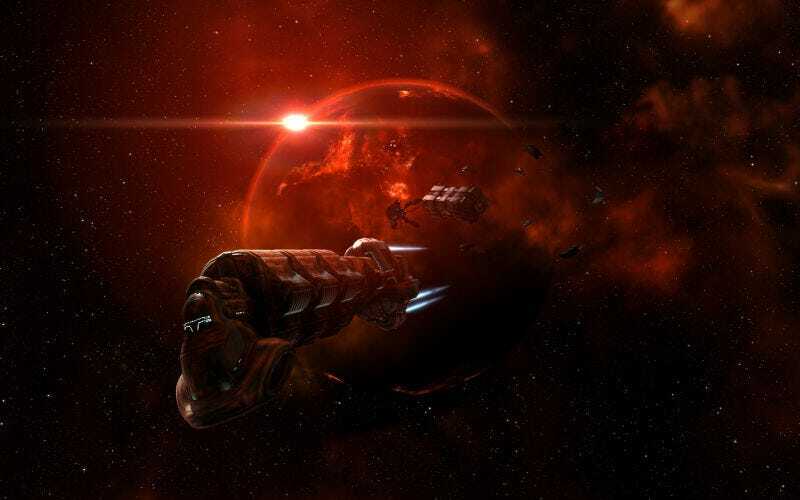 EVE Online is, pretty much, the perfect platform for this kind of project. Not only is it a space game but its players are a notoriously tenacious bunch. Massive space battles result in thousands of dollars in damage to virtual gear that costs real money. And in at least one case they offered up a $75,000 bounty against a rival group that pissed them off. Yeah, they’re dedicated. Rewarding that zeal with bonuses for helping us explore the real universe could lead to real breakthroughs.